This easy to connect, digital humidity and temperature sensor DFS-SHT71, comes with a serial two wire interface and features precise accuracy and minimal power consumption. The relative humidity is measured by a capacitive sensor whilst the temperature is determined by band gap temperature sensors. 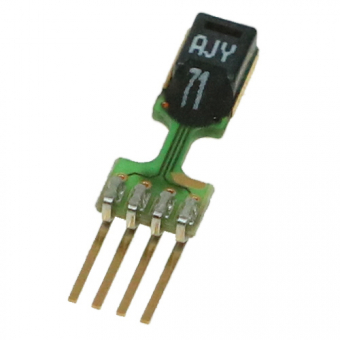 The sensor features long term stability and provides a digital output signal. Thanks to its four pins with standard dimensions, it is possible to either solder or plug it. The exceptional design allows the optimal link to the environment and the isolation from potential sources of heat on the main circuit board (PCB).